Hot or Cold, You CanCoverIt. Installs in Seconds Pop Open & Go! Comfort, Safety & Savings For Life. CanCoverIt is the essential home upgrade. Especially if you are considering other work like HVAC, you need to install CanCoverIt! Whether you want to enjoy your home for life, or are looking to sell, doing attic remodeling is the best return on investment you can do! Universal works for all 6" diameter and smaller can-lights, even Non-IC types, as well as bathroom exhaust fans and air exchange fans. CanCoverIt helps you deliver a more comfortable, safe, healthy and efficient home. CanCoverIt can be installed in minutes by anyone! CanCoverIt improves energy efficiency, and also health, safety & overall building performance. CanCoverIt even improves the performance and lifespan of LED lights! Comfort, Efficiency & Safety year-round! CanCoverIt pays for itself in the first few months and lasts for the life of your home! "The [CanCoverIt™ units] have been working as advertised, we noticed a difference as soon as they were put in. " "Before using the product our can lights would drip condensation into the house on very cold winter days when the warm indoor air met the cold attic air at the top of the can lights. I installed the CanCoverIt over a dozen lights, and this winter there was no more condensation dripping. I'm sure we're wasting less heating fuel too. Installation was very easy in the attic; simply unfolding the covers, placing them over the can fixtures and sealing them down using foam." "Before I installed the covers I used a laser temp gun to check the temperature of the light 'buckets' with the light off for a significant amount of time and again after the covers were installed. The temperature dropped around 10ºF. The hot air draft in the house has now stopped and the house remains cooler during the day." Secure Your Home in One Afternoon. Stops thermal transfer between your attic and interior, saving money and increasing comfort. 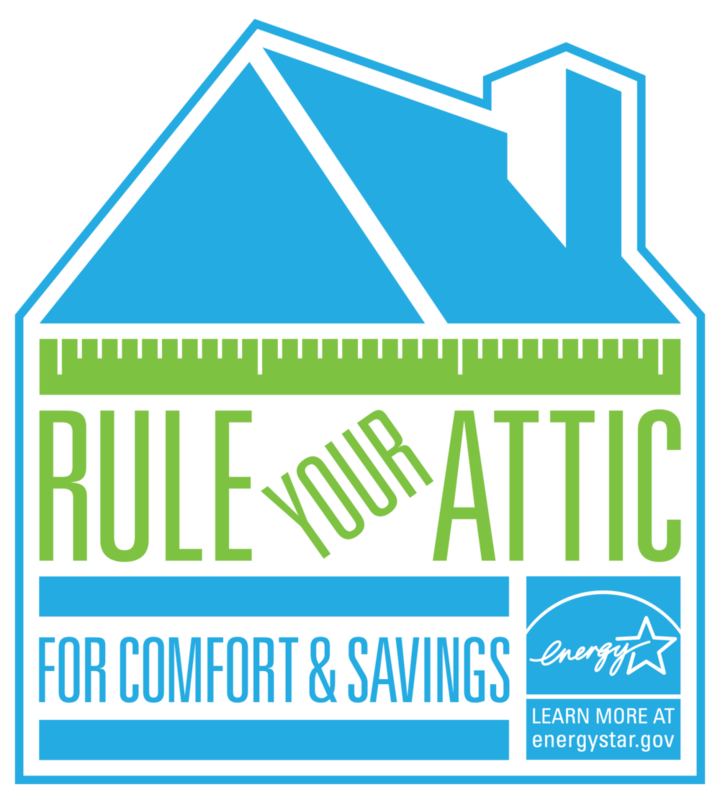 Rule Your Attic - You CanCoverIt! CanCoverIt™ stops radiant energy transfer and controls for airflow. 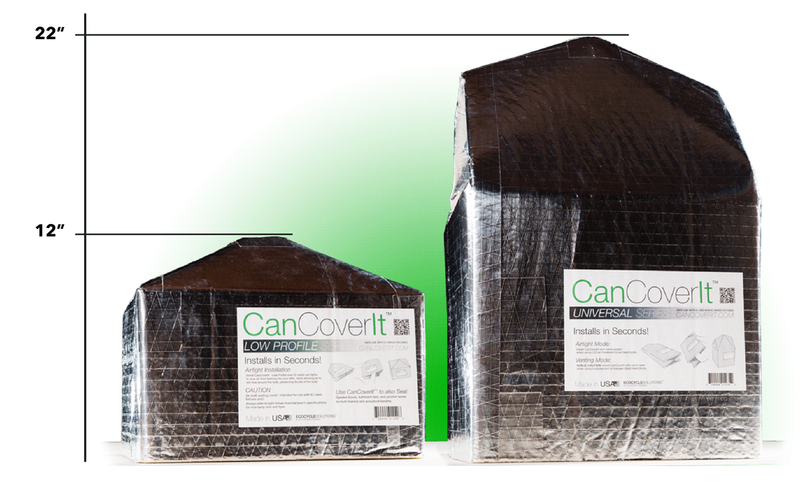 CanCoverIt™ is the keystone of every building’s insulation. The perfect design: Radiant barrier with non-conductive core stops water, air, sound and energy transfer to optimize overall attic performance. Unique shape holds form under load. Join the Newsletter and get a promo code! Plus get the latest info, and future special promo codes & offers!